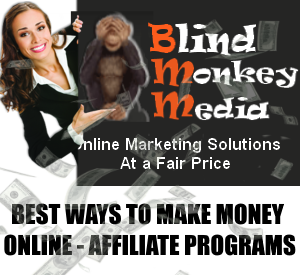 When we first started our company, BlindMonkeyMedia.com, we were a small online marketing company with a very small budget. It was not always feasible to get a steady source of revenue which became a source of stress at the end of each month when it came time to pay our staff and basically all of our monthly expenses. Today, we no longer have that problem but we wanted to share how we were able to come up with alternative methods for the company to earn income that did not rely on acquiring and retaining clients. The next few articles will go into details about how we achieved financial stability which today has turned into a very profitable income generating apart from our normal Website Design services and our marketing services. 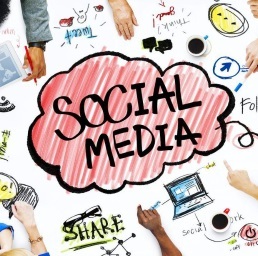 Since our staff was made up of various website designers, programmers, SEO and Social Media Experts(check out this press release so you can see how good we are at Social Media Marketing). We knew that we had the resources to create specific traffic to any websites we wanted. April 15, 2011 - As the people of are Costa Rica are becoming more savvy on the internet with 20% of its population connected to the internet, Costa Rica classified ads websites are on the rise and some of them are actually making money. April 19, 2010 - The problem that many people experience on their website despite a great marketing campaign is conversion. No matter how good the campaign is, sending people to the homepage is not good enough. The internet marketing solution to this is the Landing Page. An internet marketing campaign is at the minimum a two step process which must make sense to the potential client. June 18, 2009 – Selling your internet marketing services or internet marketing consulting services to another company is a tough job. An even tougher job however, is convincing a company to use certain types of internet marketing method once it has decided to hire your internet marketing or consulting services. The challenge lies not in providing case studies to back up your claims that a specific method(s) is the right one for them to use but rather in convincing the old school marketing executives that internet marketing does work and is more cost effective than the traditional marketing methods. Here is an example, John Doe is the President of Company X who has been selling his company’s services quite efficiently for over 20 years using traditional methods like trade shows, magazines, TV, radio ads and pretty much all of the traditional marketing methods.